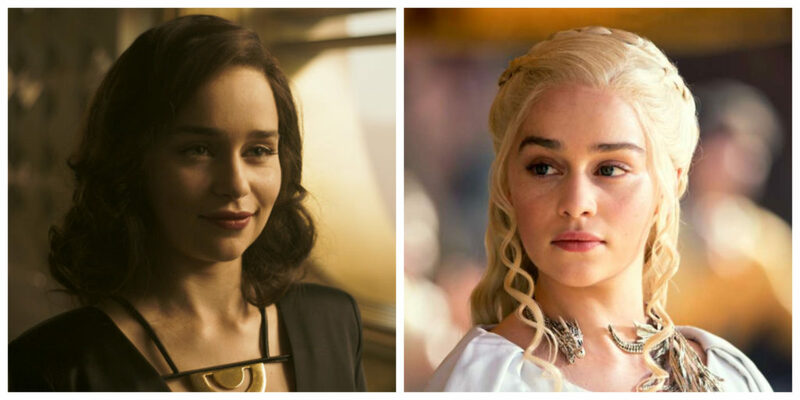 Emilia Clarke in Solo: A Star Wars Story (left) and Game of Thrones (right). Emilia Clarke stars in Solo: A Star Wars Story as Qi’ra. Clarke is also the Mother of Dragons, Daenerys Targaryen, in the smash HBO hit TV series Game of Thrones. Her role in Game of Thrones came after a few TV episodes and shorts appearances. Post-Thrones Clarke appeared in the films Terminator Genisys, Me Before You, Voice from the Stone, and Above Suspicion. Here’s Clarke talking with Rolling Stone about Game of Thrones and realizing you have become famous (it’s hilarious). And being interviewed about Solo with Paul Bettany. She is the best actress in Hollywood.